Is it Safe to Vent an Electric Dryer Exhaust Under the House? Dryers, no matter how they are powered, are meant to be exhausted outside the home. Some people have suggested that exhausting into large, open spaces like crawl spaces and attics is acceptable, but there are several problems with this concept. Electric dryers do not pose the same carbon monoxide risks as appliances fired by natural or propane gas because combustion is not present with electric dryers. 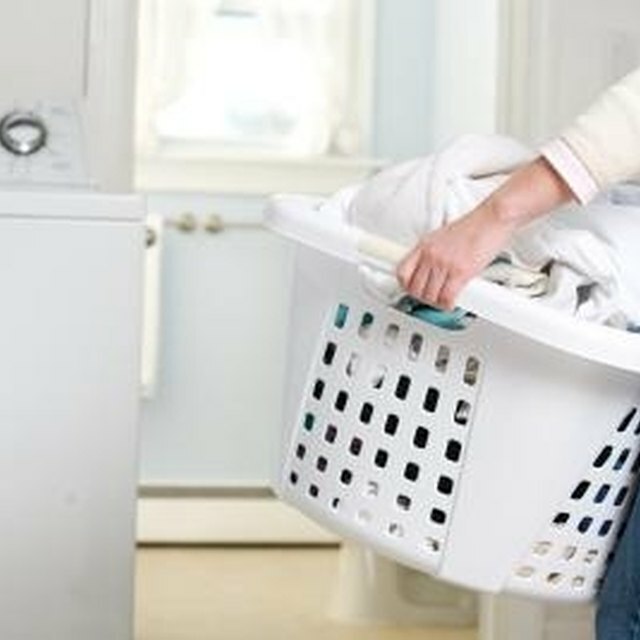 An average load of laundry can contain one to two gallons of water after finishing the last wash cycle. This water is removed by the dryer and expelled as water vapor, which can condense on joists, framing, wires and metal under the house; cause rot and mold; and encourage the growth of bacteria. Only a small portion of the lint generated by drying is collected in the dryer's lint trap. The rest is expelled through the exhaust. Lint is a fire hazard and can collect on anything under the house, including the framing. Many local building codes expressly prohibit venting dryers under houses, in basements or crawl spaces, or into attics. Dryers always need to be vented outside the home. Sydnee Crain is former editor of "Parent and Family" magazine, and of the e-zine Freshare.net. Crain wrote and edited pieces for both publications and attended Missouri State University with a concentration in creative writing. Can a Washer and Dryer Share a Circuit With Other Appliances?